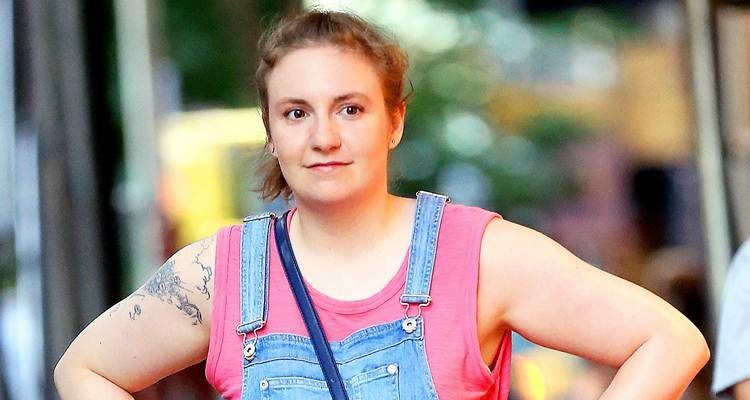 Lena Dunham, aged 32 years old. The actress has a height of 5’3” (160 cm) and weighs 63 kg(139 pounds). Her workout includes Acroyoga (a fusion of acrobatics and yoga), which helps her maintain a 36-28-38 figure. In 2017 season of Girls her acting has been highly appreciated. Workout: Acroyoga (a fusion of acrobatics and yoga) training. Best Known For: Playing Hannah Horvath in the HBO’s TV series Girls since 2012. Lena is also the creator, producer, director and writer of this show. Lena Dunham, star and creator of the hit series Girls will be on the cover of the February issue of Glamour alongside co-stars and gal pals Allison Williams, Zosia Mamet, and Jemima Kirke, and she couldn’t be happier with the photo. Dunham is well-known for her constant body positivity, and she praised the magazine on her Instagram account for not retouching the photo to erase the cellulite on her thighs. Dunham works on the arms and leg sequences with seven pounds on each of her ankles. She also takes Acroyoga (a fusion of acrobatics and yoga) training. Anderson says Dunham’s body was not balanced; it was disconnected. Anderson tried to get it in balance. She also says working out requires internal strength. Judging oneself and getting bikini-ready in 10 days or red carpet-ready in two weeks is really harmful for the body, and it keeps you under pressure. Dunham shared some fitness tips with Cosmopolitan last September for those who feel working out is a tough task. Yahoo Food revealed Dunham’s best and most honest diet secrets from her 2014 book, Not That Kind of Girl. She apparently consumed a lot of tea and coffee and was highly addicted to smoking. She also ate at odd hours – ate Midwestern pizza at three in the morning. Her favorite foods include Doritos, steak, Sara Lee pound cake, Stouffer’s French bread pepperoni pizzas, Shepherd’s pie, huge hunks of goose liver pate, raw hamburger meat and vinegar, soy ice-cream and overstuffed burritos. She did bulk up with such an unhealthy diet, but now she has turned to healthy eating. Lena Dunham accepts herself the way she is. She feels good about her size and says it is just the perspective that matters.